All members are invited and encouraged to attend the AGM to consider, debate and vote on matters related to the running of the Club. Should you be unable to attend then either give your apologies to an Executive Committee member or sign the apologies list. In a closely fought match the Walton Hall team emerged with a 3 to 2 victory secured on the 18th with a winning putt by Captain Paul Butterworth to finish his match 1 up. The semi-final was played on Friday June 9th against PARK Golf Club who also play on the Southport Municipal Links. Unfortunately we were soundly defeated and so PARK will now go on to play in the final which will be held at Walton Hall. 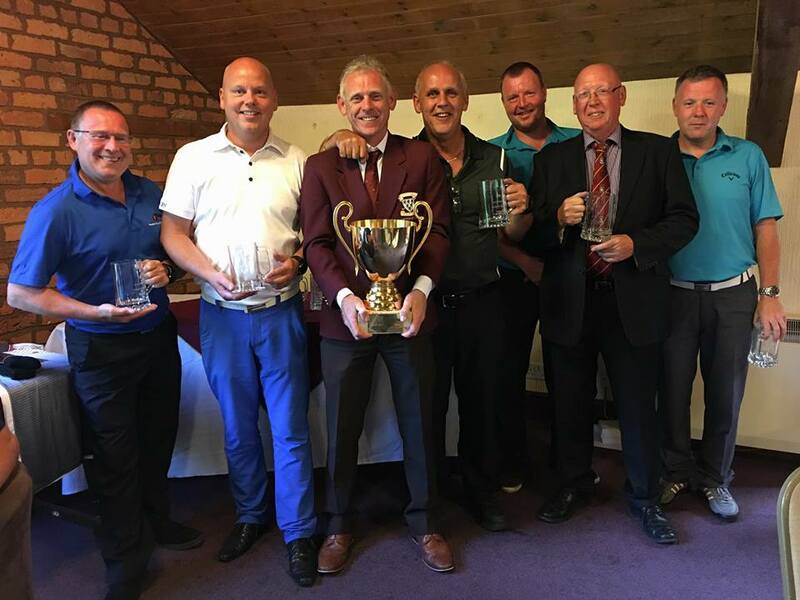 The final between Beacon Park and PARK resulted in a win for Beacon Park who were presented with their winners trophies following the 14 Man event at Walton Hall on Sunday July 2nd. This year Walton Hall hosted the annual Association of South Lancashire Municipal Golf Clubs inter-club match on Sunday July 2nd. Each club enters a team of 14 players who play as pairs in a betterball format with the individual pairs scores being combined into an overall team score. The qualifying match for the team took place on May 28th and the winners were Alec Hickey and Dave Stuart who gain a place in the team. The remaining team was selected by the competition committee from those members who entered their names on the clubhouse sheet. The full team sheet can be viewed below. Colin Leicester, Ken Oldbury, Mr Captain, Steve Towers, Robert Swift, Richard Bell, Gary Lewis. Club Captain Paul Butterworth holding the ASLGMC 14 Man Team Trophy with some of the members of his victorious team in Sunday’s competition. Bowring Park were a close second only 2 points behind. It was a memorable day, the weather was perfect, the course in the best condition we have seen for a long time and the club received superb support from the professional staff.